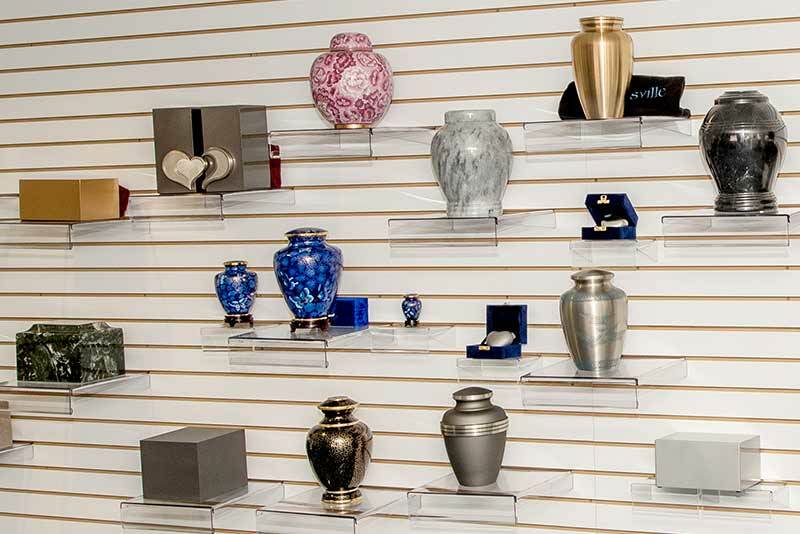 In addition to the Russell & Pica Funeral Homes commitment to the highest quality of professional services and facilities, we are committed to providing families with the highest quality of Caskets, Outer Burial Containers, Cremation Urns, Automotive Equipment and other funeral merchandise. Caskets are constructed with many different materials with the primary options being 'Metal' and 'Wood'. Metal Caskets are available in varying thickness including 16 Gauge, 18 Gauge, and 20 Gauge thickness, as well as semi-precious metals including Bronze, Copper, and Stainless Steel. Wood Caskets are constructed in various wood species including Mahogany, Cherry, Maple, Oak, Walnut, Pecan, Pine, and Poplar. Interiors for all Caskets are made of different materials as well, including fabric of crepe or velvet and with numerous styling options and colors that are available. Costs of caskets vary considerably depending on the material of the casket from which they are made, quality of workmanship, and interior fabric that your family chooses. 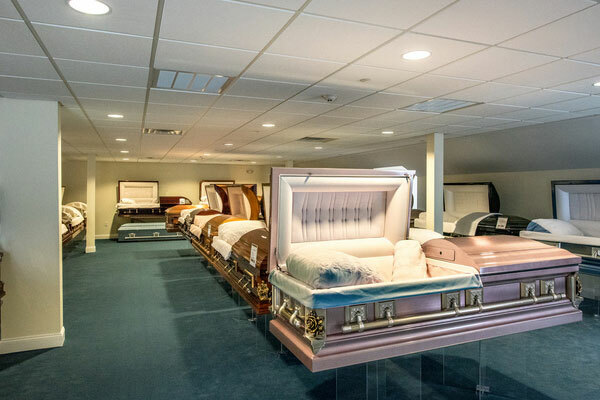 The Russell & Pica Funeral Homes deal with reputable Casket manufactures that can guarantee the families we serve, that the casket of their choice was constructed of the finest materials and workmanship. Vaults and Grave Liners are usually required by the cemetery so that the gravesite will not collapse and that it will hold up to any heavy equipment operating above the grave. Either a burial Vault or a Grave Liner will satisfy these requirements. Grave Liners are a concrete base form that the casket goes inside of and have a two piece or one piece top cover that houses the casket in the earth and prevents the collapse of the grave over time. Grave Liners DO NOT have liners or seals that prevent the entrance of water or other elements into the container. Grave liners can weigh from 600 to 1500 pounds. Vaults are similar in form however they are constructed of heavier concrete, incorporate liners and seals that are constructed to prevent the entrance of water and other elements from entering the container, and have one piece covers. The vault liners are made from natural enduring metals including Bronze, Copper, and Stainless Steel and man made materials such as 'Trilon' and 'Marbelon'. Vaults can weigh from 1800 to 3000 pounds. Cremation Urns are used to house the cremated remains after the cremation process. Urns are used for presentation of the cremains at a Wake, Memorial Service, Burial Service, family home, or to hold the cremains until scattering takes place. Like Caskets and Outer Burial Containers, Urns are constructed of many different materials and in many different styles and designs. Keepsakes for cremains are available as well that allows individuals to keep a small portion of the cremains as a memento. These Keepsakes include personalized jewelry, pendants, or smaller version of an urn.